No, nothing to do with waxing, but Two Lipsticks & a Lover is now available in Brazil. The news was a lovely way to end an otherwise fairly unremarkable birthday. The highlight was lunch with Olivia and Bea at IKEA where they looked and behaved like princesses. Leo was at a friend’s house and all was apparently going super well until he tried to leave with said friend’s Spider-Man socks. Any grandparents reading please take note – I can’t find a pair anywhere in Abu Dhabi…. So tomorrow we head off back to Sainte Cecile. How do I feel about this? I’m not sure really. I know there will be lots of admin chores and things to sort out (although thankfully Max now has a home thanks to my lovely in-laws). I am almost nervous about how I will react at seeing our home. Will I lock myself in the bathroom when the time comes to leave and refuse to go? Will I long for the sunshine and domestic staff in Abu Dhabi? Will I feel emotional every time the children say or do something they could only do at Sainte Cecile? Our home is a little like an old boyfriend you split up with when you were still in love. Seeing him again might re-kindle your feelings or you might realise you are totally over him. I hope it’s the latter when it comes to Sainte Cecile. I think we will have to sell. And there’s nothing worse than parting with something you still love. As Leo’s friend realised when he saw his Spider-Man socks walking out of the door. Don’t sell…! It’s your love, your base, the roots you put down for your growing family…and an investment too! Surely it’s too soon to make that sort of decision? Anyway – I’m sure – and I hope – you will have a fabulous time. Spider-Man socks found in Otricoli! 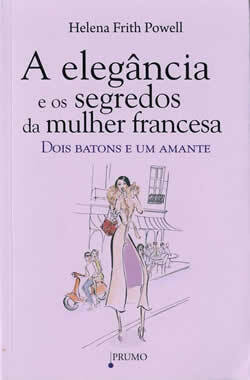 Just think that your book now exists in Portuguese and that lipstick is the same word as baton which in Swedish would be truncheon and imagine Royal Symphony Orchestra being conducted with a lipstick! Spider Man socks found in Italy. To think your book has been published in that lovely language and that lip stick is a baton which in Swedish would be a truncheon and I am imaging the London symphony orchestra being conducted with lip sticks! Enough silliness for today! I agree with Patricia – your posts sounded more content and happy from France. In Abu Dhabi they often sound like you are close to tears, and trying to turn it into a joke but really it’s not (the “you’ve gotta laugh, or you’ll cry” mentality). Or perhaps it’s just me?